1. Dr. Richard recently received the prayer request (below) from Dr. Hormoz Shariat with Iran Alive Ministries. Please join us in praying for Amir and persecuted Christians around the world. Also, please share this post with others who will pray. This week, we received a distressed call from one of our Church 7 members who lives in Iran. Her 32-year-old son, Amir*, has been in prison for the past two years after being caught with a truckload of Bibles. Recently, an execution date was set for the week of August 11th for his crimes against Islam and government. Pray for Amir and his family. Pray for deliverance from this death sentence for Amir and for his frightened and grieving family. Pray for his jailers, his judge and his fellow inmates to encounter the love of Christ and receive Him as their personal Savior. Pray for the countless other brothers and sisters, like Amir, who are suffering persecution for their faith in Christ in Iran and around the world right now. *Pseudonym used to protect identity. A big river that flows throughout my district which comes all the way down from Tibet, China was blocked due to a huge landslide that came from both sides of the river. There are many smaller towns throughout the river bank that are affected. Now the river water level is growing and going upward, and people in the affected areas are being evacuated. Praying that our God, under his sovereignty will take care of things. 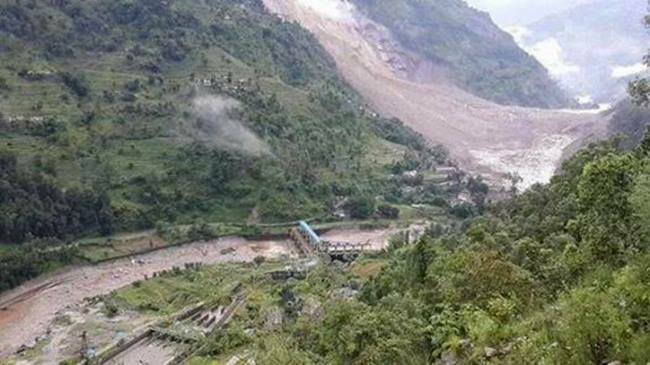 Many houses are wiped out and hundreds are missing, it is known that a believer’s family was also victim of the landslide. I will appreciate your prayers. Here and here are news updates on the situation. Please continue to pray.